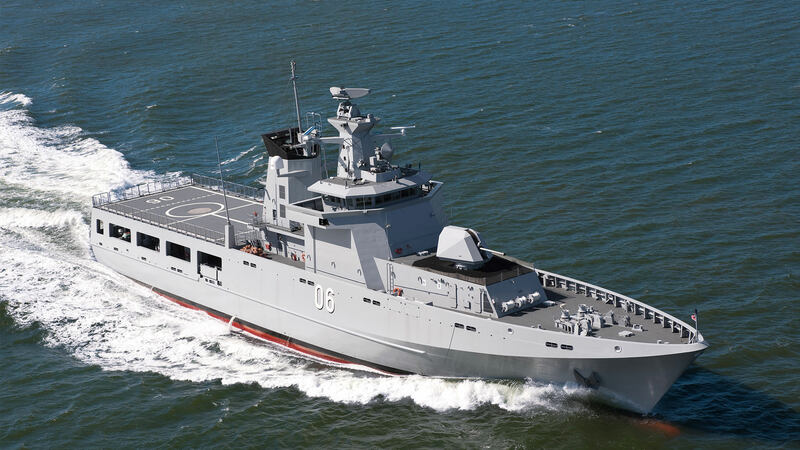 Lürssen Australia has awarded a subcontract to Saab Australia to provide the Situational Awareness System for the Royal Australian Navy’s 12 new Offshore Patrol Vessels (OPVs). Minister Christopher Pyne described the announcement as ‘another win for Australian defence industry’. “The System provides the Navy with complete, consistent and up to date situational awareness and mission management using on-board, off-board, and remote data sources,” Minister Pyne said. Andy Keough, Managing Director for Saab Australia, said the company will also contract other Australian companies to fabricate selected components of the system providing a high level of Australian industry participation. “Saab Australia is pleased to receive this order from Luerssen Australia. This is also an important step towards system commonality for the Navy, with 9LV installed, or contracted for delivery, across four classes of ship,” Mr Keough continued. Lurssen Australia, which has been selected as the prime contractor for the delivery of the OPV project, last week contracted L3 Communications Australia to provide the integrated communications, bridge, navigation and platform management systems for all 12 OPV platforms. The $3.6 billion project is expected to create approximately 1000 jobs – 400 direct and a further 600 in the supply chain. Construction on the first two OPVs is scheduled to commence at Osborne Naval Shipyard in SA in late 2018 before the project transitions to WA, where the remaining 10 will be constructed from 2020.